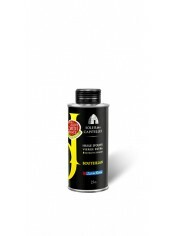 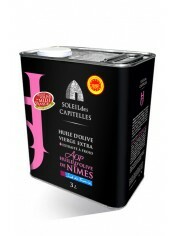 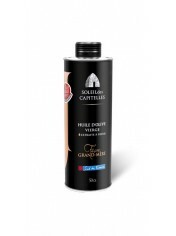 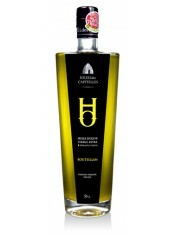 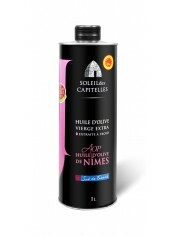 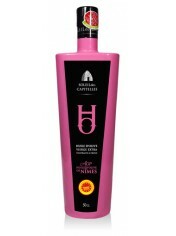 Virgin Oilve Oil, “Façon Grand-Mère”, SOLEIL des CAPITELLES, 3 liters metal can, stretch cork. 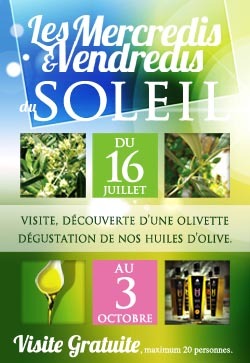 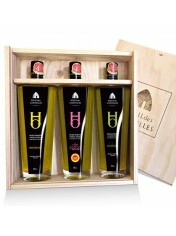 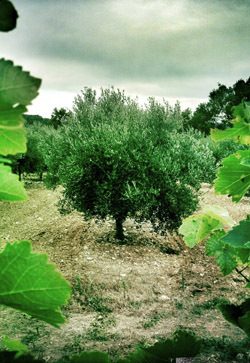 July 16 to October 3 from 10:00, come share our universe and discover all the different flavors and aromas of our olive oils. 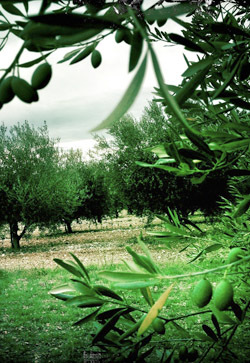 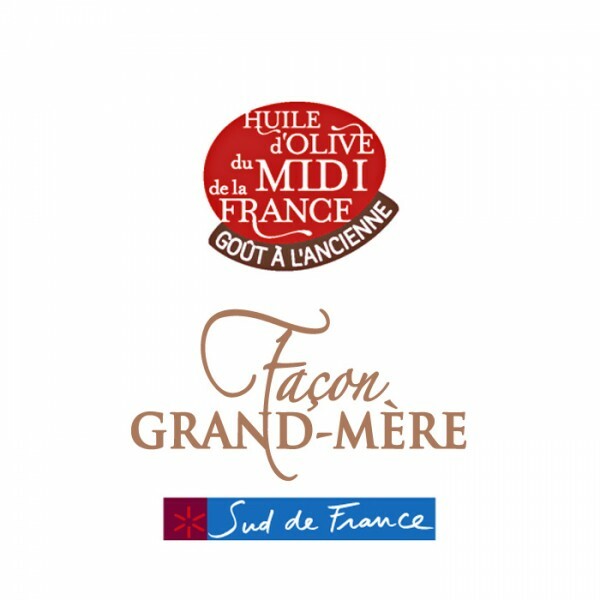 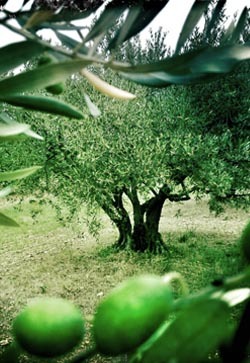 The olive oil "Façon Frand-Mère" that we propose, is an oil flavored with old, extracted from olives that are matured and stored under appropriate and mastered conditions, before extraction of the oil. 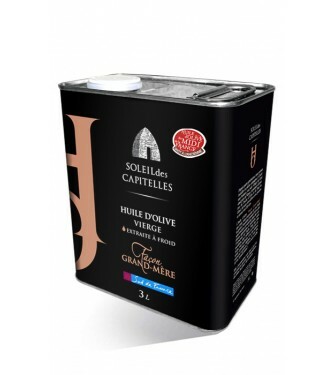 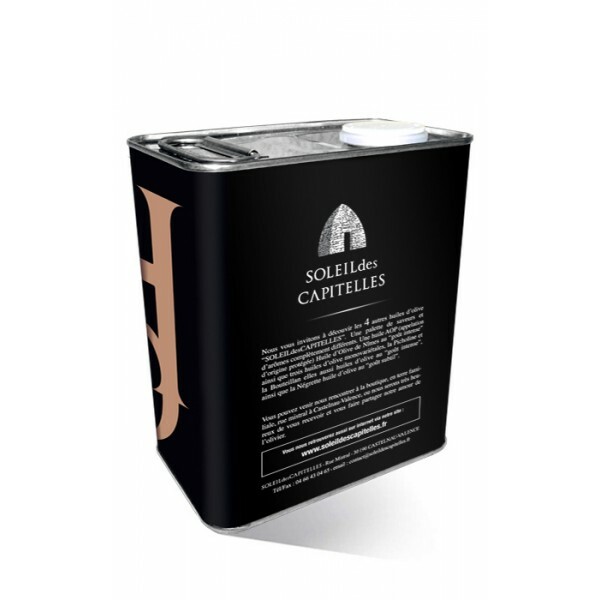 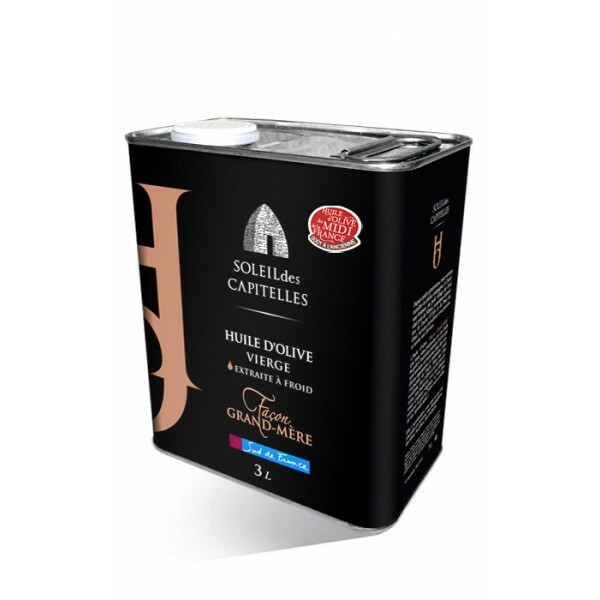 In a bronze color, it will offer both very délicate, very fragant, with a total absence of végétal aromas and you will find the taste of black olive confit that were making our grandmothers. It will adapt with all that is concentrated in flavor : mashroom, offal, game or seafood.